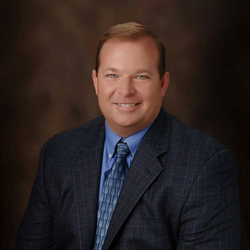 Personal injury lawyer Billy Johnson of the Johnson Law Firm is a native of Pike County, KY, who is proud to represent his fellow Kentuckians in their legal matters. Though he makes his home in beautiful Pikeville, he welcomes cases from across the state. He knows that it may sometimes be necessary to visit clients in other communities and that many cases, no matter where they originate, may require travel in order to extract the most detailed information for the best possible resolution. To that end, Billy saves a lot of travel time by flying his own Cessna TTX rather than driving or flying commercially. Founded by Billy Johnson in 1998, the Johnson Law Firm is heavily involved in the community and invites people to stop by to find out for themselves why the firm is known as “the nicest place in town.” Located at 229 Main Street in Pikeville, Kentucky, the firm serves all of Kentucky. For more information or to get help with a potential claim, call 1-606-433-0682.